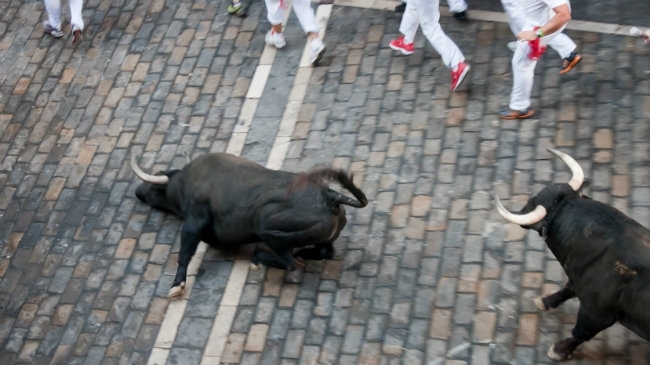 THE attack on an animal activist during the protest against running of the bulls in Alcudia has been denounced by AnimaNaturalis. The incident took place on July 22 in Plaza de Toros when a fan of the running of the bulls allegedly attacked one of the protestors, kicking the placard he was carrying causing an injury to his leg. Amengual added that the town hall stipulated that the protest should be 100m from the doors of the Plaza de Toros and that nobody from the town hall or the regional government answered their request to have the protest closer to the area. AnimalNaturalis also denounced the presence of minors in the plaza and the lack of security measures.